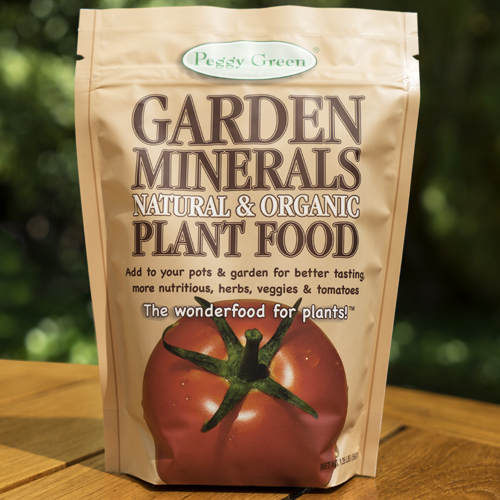 Peggy Green’s Garden Minerals vegetable fertilizer. Big juicy vegetables. More flavor. More taste. Higher nutrition. Here’s a great vegetable fertilizer and plant food that is natural and organic, and can be used both indoor and out. 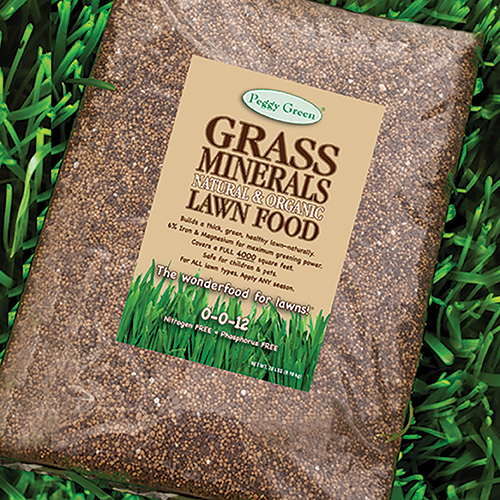 With its PATENTED, NON BURNING sucrate minerals, there’s never a worry of over fertilizing. And, because it’s non burning, this makes it perfect for small containers and potted plants. Garden Minerals vegetable fertilizer and plant food is packed with a powerful concentration of essential elements. It’s a super mineral supplement. It’s like vitamins for your plants! In addition to being non burning, Garden Minerals vegetable fertilizer and plant food stimulates nutrients, enzymes, and promotes good health. Grow everything better, and with much higher nutrition with Garden Minerals. The Wonderfood® for plants! For ALL types of herbs, vegetables and tomatoes. Plants thrive on Garden Minerals plant food. Use this vegetable fertilizer as part of a regular maintenance program. You’ll grow bigger, healthier, tastier, more nutritious herbs, vegetables and tomatoes. And, with its excellent source of calcium, Garden Minerals helps prevent end rot in tomatoes or tip burn in carrots. There are no fillers. No synthetic chemicals. No pesticides. 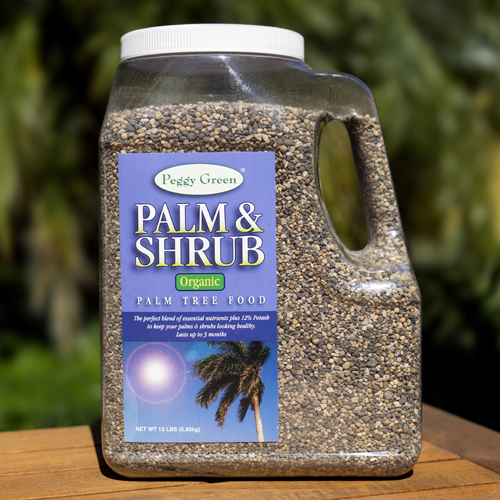 Peggy Green’s products are all about plant health. So, when you use Garden Minerals vegetable fertilizer and plant food, it will naturally help fight disease, mold, fungus and insects. And, you get peace of mind, because you’re not putting any harmful things in the soil. Good for plants, the earth, and you. 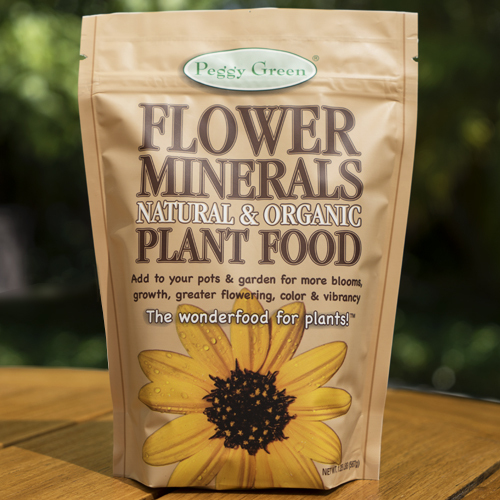 Peggy Green’s Garden Minerals vegetable fertilizer is a proprietary blend of Calcium, Magnesium, Manganese, Iron, Zinc, Copper and Sulfur. 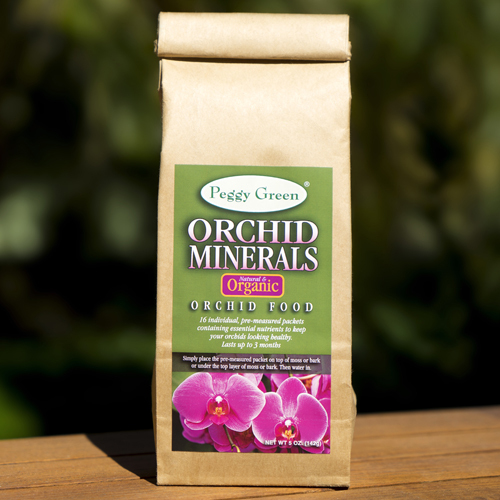 Unlike sulfate products (which are heavy salts), Peggy Green’s Garden Minerals are derived from patented sucrate minerals, and will not burn. 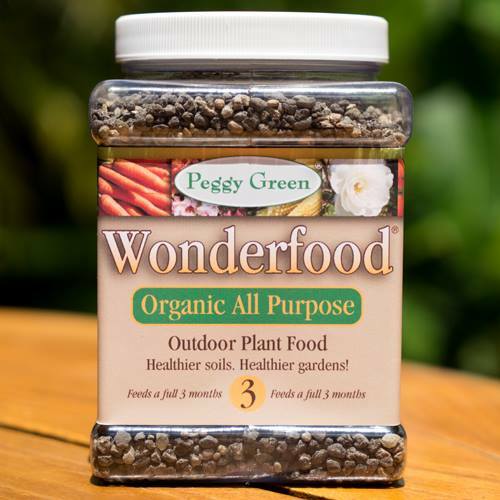 For superior plant health and plant growth, check out Peggy Green’s other premium organic products like Palm & Shrub Food, Flower Minerals, Orchid Minerals, Grass Minerals, and Wonderfood® Organic All Purpose Plant Food.